A group of protesters gathered in downtown Montreal Thursday to speak out against a mining project in southern Quebec by the company Niocan. The planned mine would extract Niobium, a rare-earth element used in electronics and the steel industry. 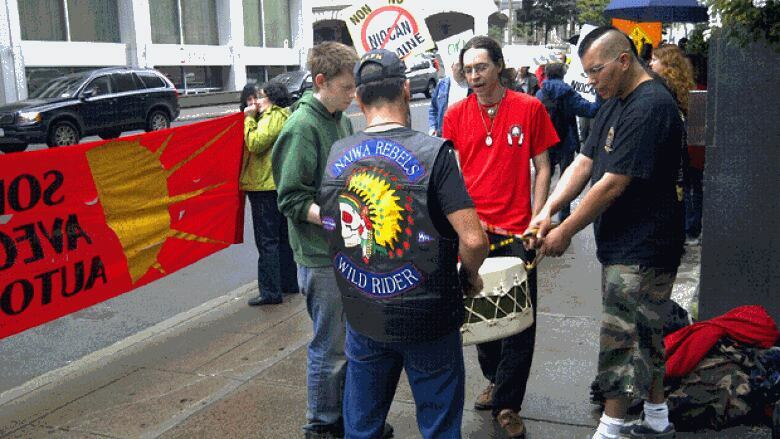 The protesters included farmers from Oka and Mohawks from Kanesatake. Chad Katsenhake:ron Diabo said they are against Niocan's mine because of environmental concerns. "This mine is going to destroy the water table," he said. " It's going to leech heavy metals, radioactive metals into that water table. No matter how they try and protect it, every mine has always done that." Niocan has been wanting to open the mine for more than a decade, but continues to face opposition from surrounding communities. The company does not yet have permission to develop the mine. It is seeking that permission from the Quebec government.